Redecorate Your Office And Increase Sales! It�s just another day at the office, huh? The time is 8:30 in the morning, you walk into your office and the first thought that enters your mind is the following: "I feel like I was here like two minutes ago." We�ve all felt that way, no? And of course that�s just a figure of speech, but the true reality behind that remark is time does go by fast! In addition to the fact that time goes by fast, the other reality that we all encounter is that we spend more than a third of our day at work! These two realities of life can have a tremendous affect on our attitude. So how can you counteract these feelings? How can you improve your attitude on a daily basis? That's easy, can you say, "Office Makeover?" So Martha Stewart it's time to move over and make room for the new kid on the block! Hello, Mr. 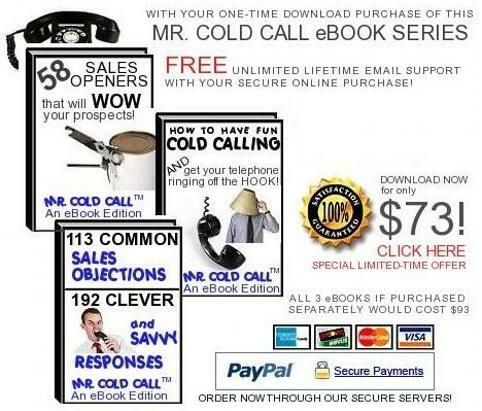 Cold Call! Hang-up motivational quotes and awards that you have won throughout your entire office (great ice-breakers for clients that visit your office). If you are a sales manager or even if you are not, send a weekly motivational quote to your co-workers and encourage them to hang selected quotes in their office. Buy plants for your office. If you have no interest in watering them then buy look-a-like or imitation plants. If you are into cars then buy some small toy cars for your office. If you are into golf then buy something that symbolizes golf. Just think of a hobby or interest that you have and apply this idea. Buy a massager for your office chair. No light? Get more light in that office pronto! Get a mirror and put it next to your phone (the more you smile, the more you will sell). Hang-up pictures of your loved ones. Using the same pens everyday? Get new ones! Play music at a respectable level.